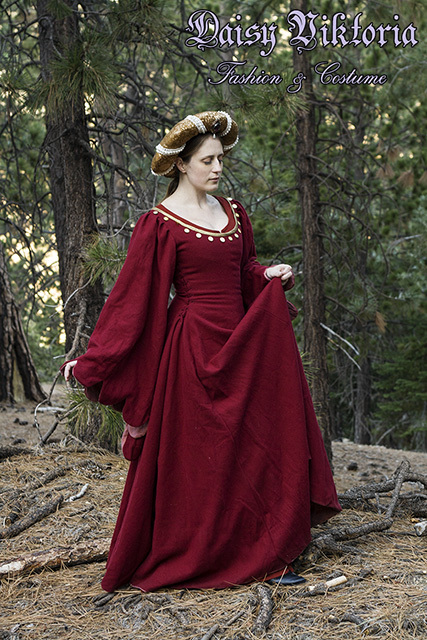 This gown, a transitional style between a cotehardie and a houppelande, is based on 15th century Italian sources. 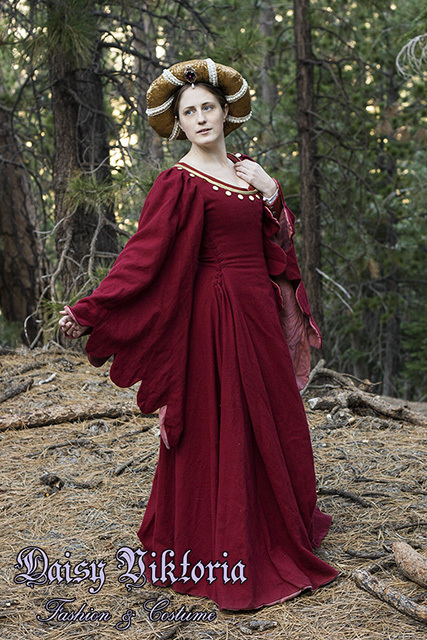 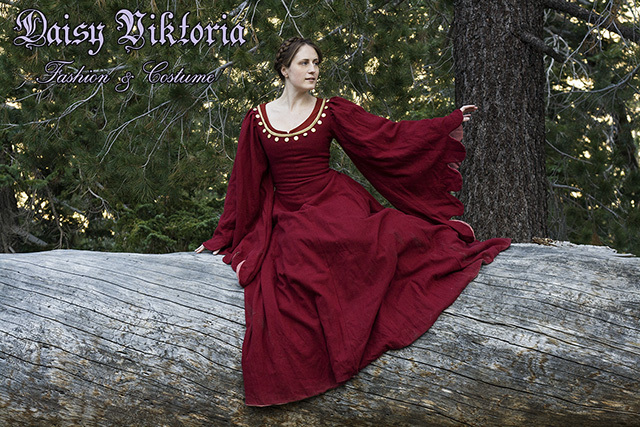 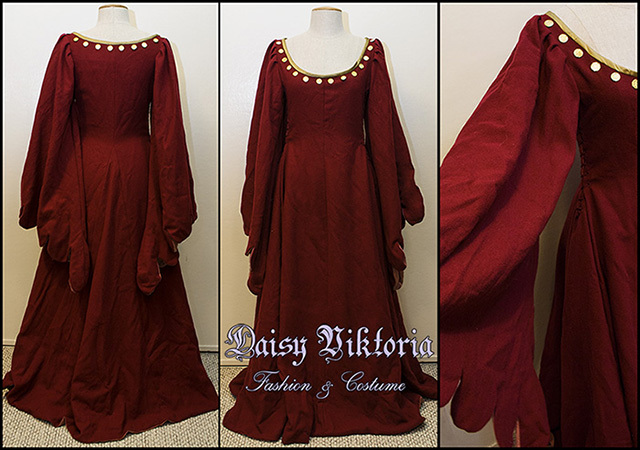 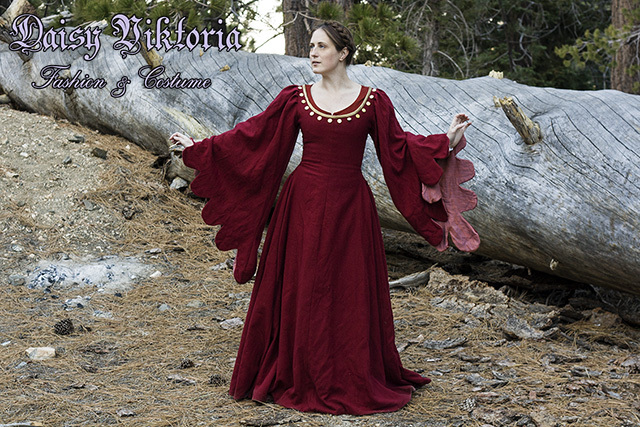 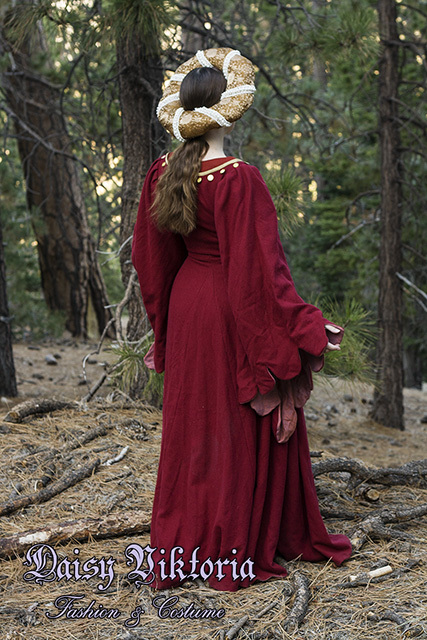 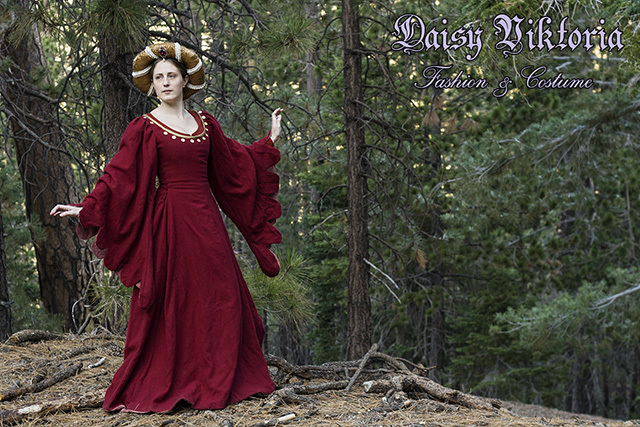 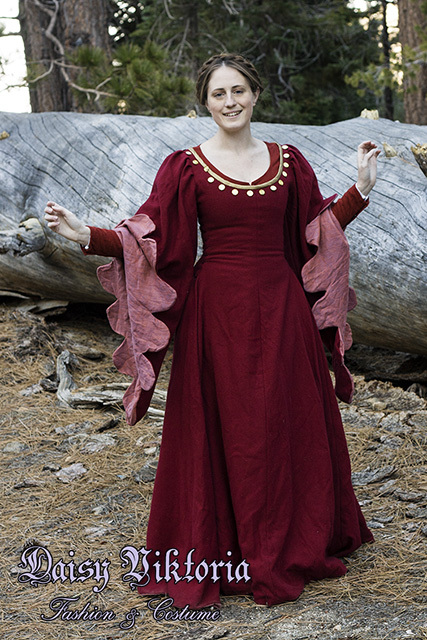 The dress is made of red wool and fully lined. 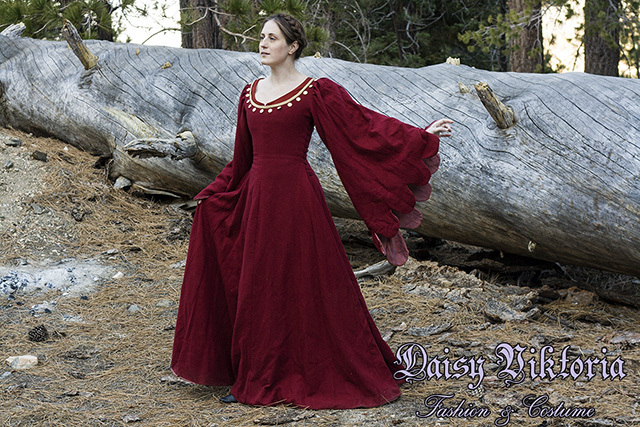 The dress laces on the sides with hand sewn eyelets and hand made finger loop braid. 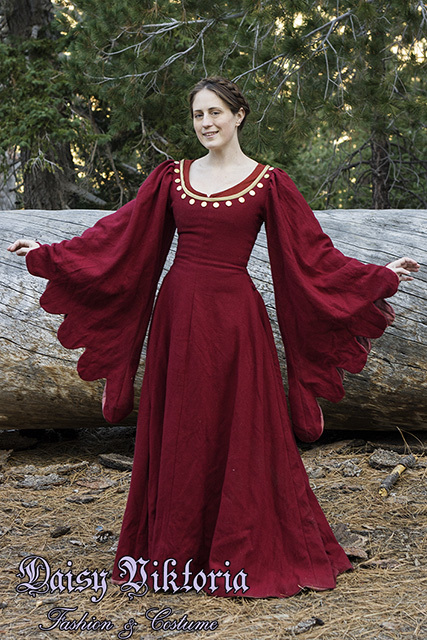 The neckline is accented with gold silk and spangles, a precursor to modern sequins. 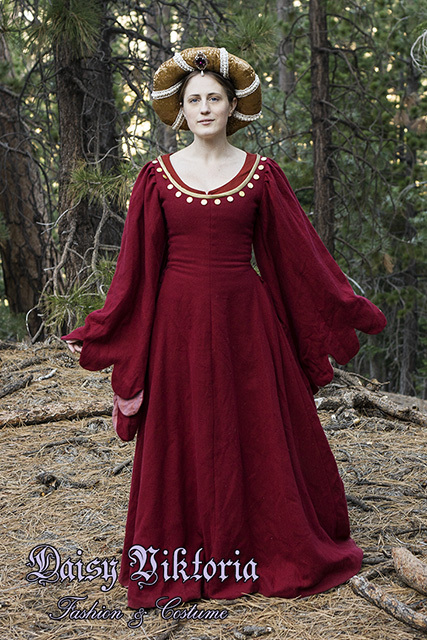 The gown is worn here both with braided hair and with a decorated hat.